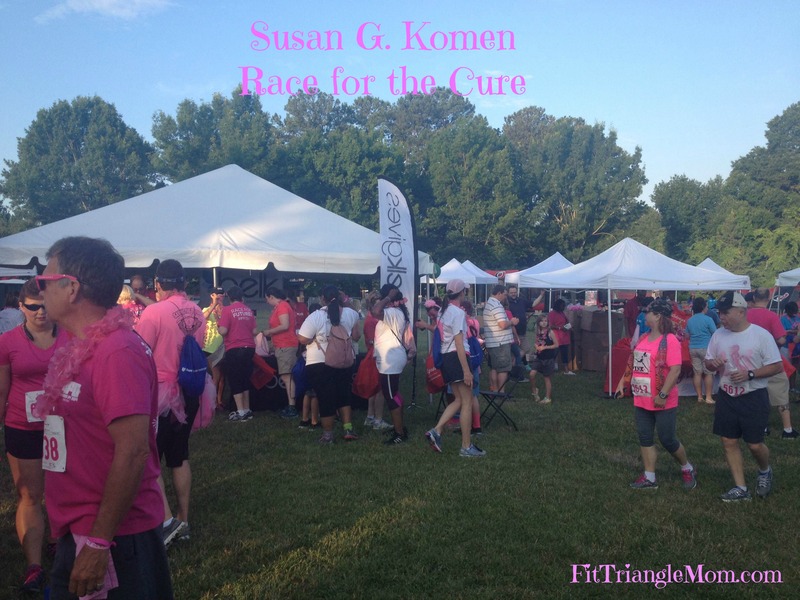 For the past four years, I have run the Susan G. Komen Race for the Cure 5k. 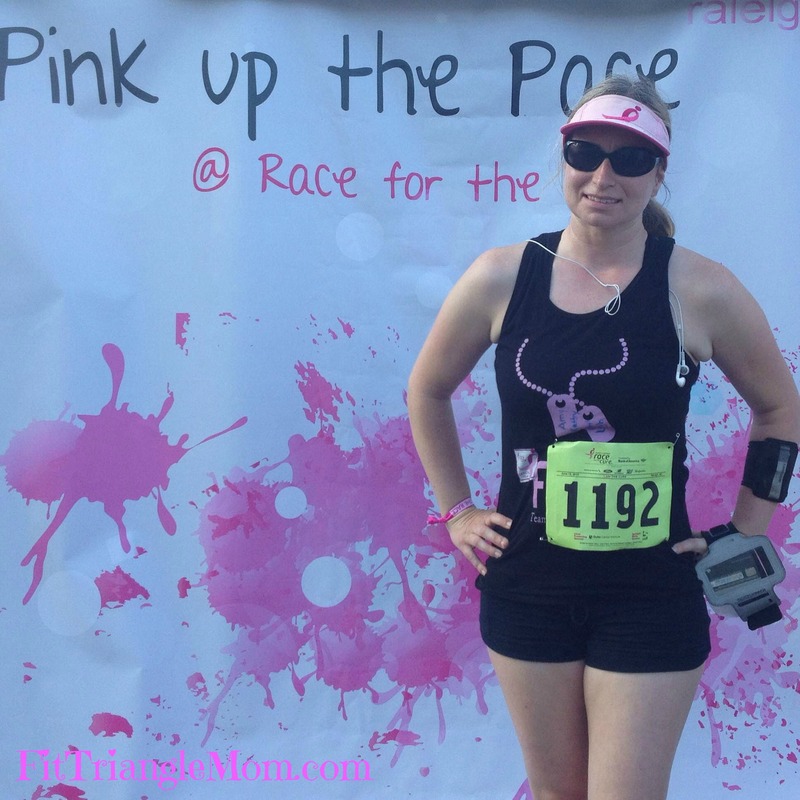 What began as a personal challenge to run a 5k has since evolved into running and raising money for an amazing cause– breast cancer research, education and treatments. Yesterday, I ran a very hot and hilly race. I didn’t make any personal records in my running, but I was reminded why I run this race. It’s for every woman and man that has heard the news it’s “breast cancer”, it’s for those who’ve had lumpectomies, mastectomies, chemotherapy, radiation, and reconstructive surgery. It’s for the survivors who fought an uphill battle and those who have lost the fight to this cruel disease. It’s for my dear friend Amy, my friend Kathy and my cousin Leigh all of which were diagnosed with breast cancer this year. It’s beyond saving the ta-ta’s; it’s about being able to watch your children grow-up and living life to the fullest. Over the years, I have written posts about the impact of this race, but this year I’m going to show you the race. It’s hard to explain the magnitude of emotions that is generated by this event. Meredith College in Raleigh hosts the race, and the community assembles on this beautiful campus of shady tall trees and open grassy fields. White tents populate the grassy fields and the celebration begins. 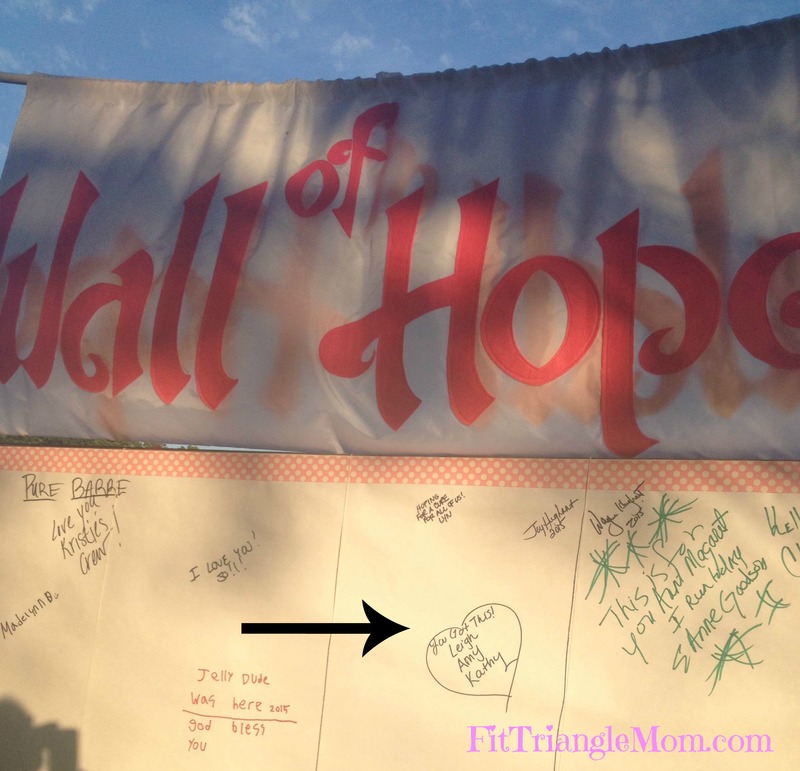 My favorite place to recognize all those fighting is on the Wall of Hope. The arrow points to where I wrote a message. 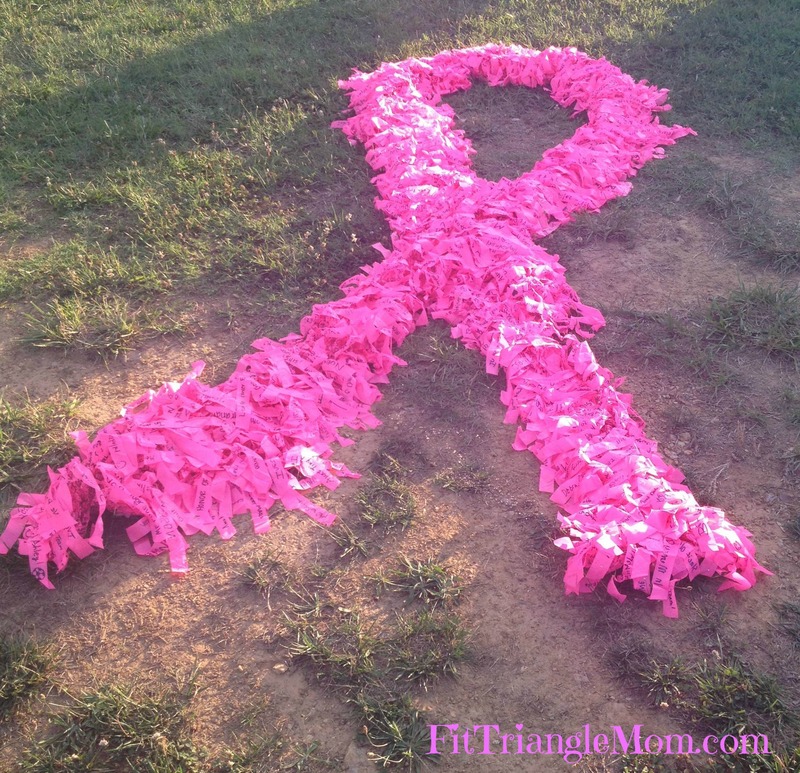 Little strips of pink plastic with messages of hope, memories or just simply a name make one big pink ribbon. 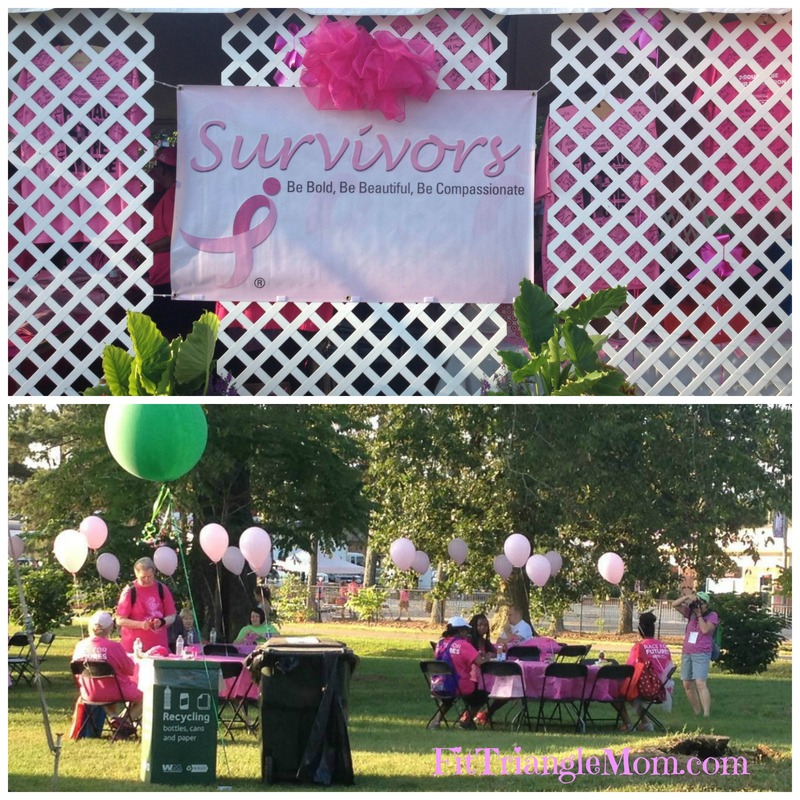 Survivors are pampered and treated to a garden party breakfast. I’m just one of the many faces of this race. I hope my passion sparks others to create awareness, donate, form a team, or register to race. Breast cancer fighters need friends and community to support them in their fight! I’m still accepting donations for my team. Donate Here. Thank you. Thanks for running and sharing! Here’s to a year full of early detections, effective treatment, and lives saved. I love how this race celebrates survivors and recognizes those who’ve passed on. Thanks for supporting this cause. Thanks for sharing and what you’ve been doing. My sister in law was diagnosed a couple of years ago. Fortunately it was very early because she did her regular annual check-ups. I’m so glad that the cancer was found early and your sister was able to be treated quickly. Early detection saves lives. Thanks for sharing your connection to breast cancer. It sounds like it’s amazing! Bravo to you for running it all these years and good luck on the next one! Thanks, Gina. 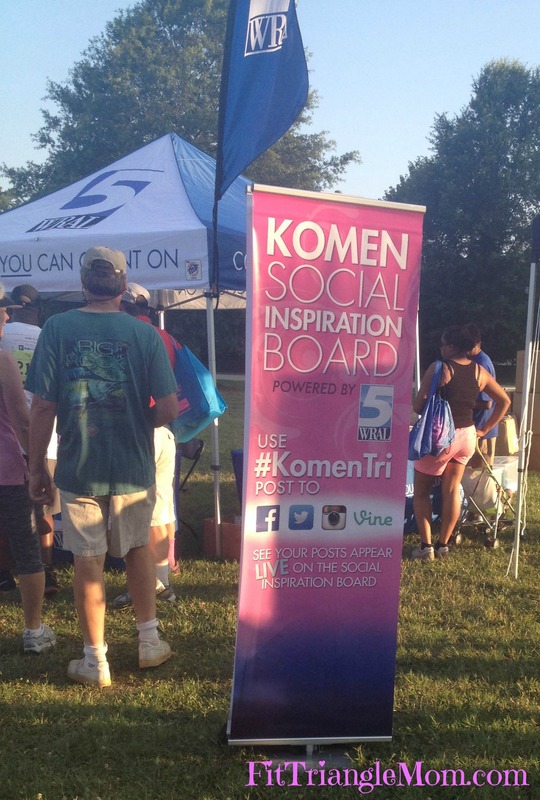 I love how this run supports breast cancer survivors.